Teenagers are increasingly using video chat applications for communicating with friends. Video chat plays an important role in helping them socialize after school and on weekends. 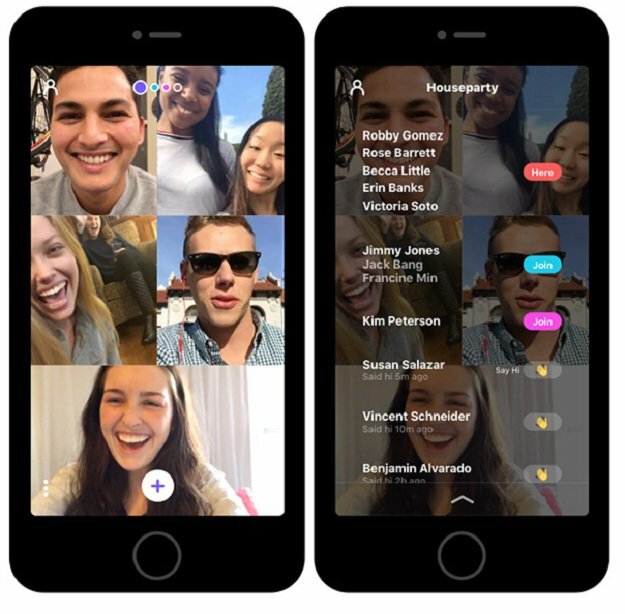 Houseparty is a new video chat application that has been developed to provide teenagers with an extremely modernize experience of live streaming. Houseparty provides a synchronous social networking which has made it the next big thing among teenagers. Right now, it has over one million active users. With this application, users are no longer required to post feeds and wait for “Likes”. This platform is not restricted to focusing on one person; it provides a group experience by separating the screen up to eight times. According to the founder of Houseparty Ben Rubin, this application works like the internet’s living room. The exception is that like other video apps such as Google’s Hangouts, this app does not force users to request or invite others to join a conversation. Users can jump in any time into a group conversation. For teenagers, this app has become a virtual third place where they can share ideas, relax, and socialize. Not only teenagers but young adults are also using Houseparty to meet with friends. But still over 60% of the Houseparty users are under the age of 24. This app provides a synchronous live streaming experience to a user which is not possible for Facebook, SnapChat, and Twitter to copy for their platforms. Facebook’s greater number and connections has given it the ability to reel in celebrity streamers and offer top quality content. Houseparty has been developed for normal people on camera concentrating mainly on input experiences. Users can download the beta version of the app on iOS and Android.